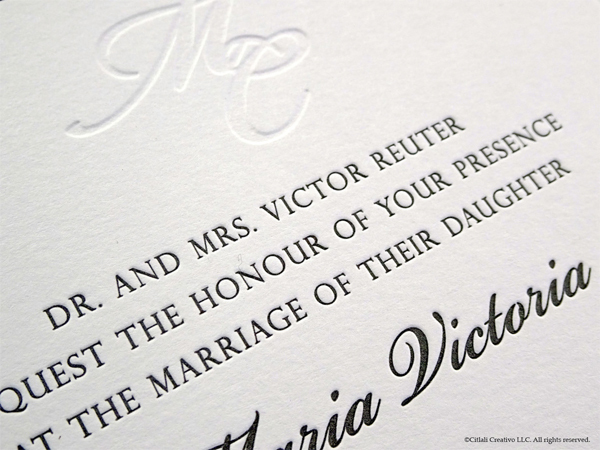 We offer Digital Flat printing, Thermography, Foil Printing/Stamping and work closely with a few Letterpress printing. Our online shop reflects digital/flat printing (unless otherwise stated in the description). All pricing is dependent on quantity & number of ink colors, paper and number of cards. Please review our online options for flat printed pricing. 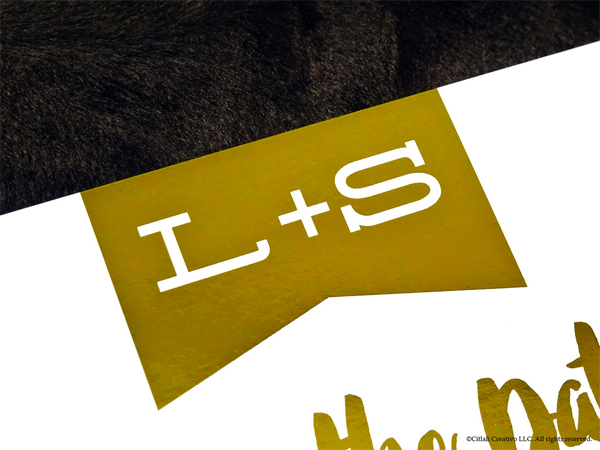 Thermography, Foil, and Letterpress are specialty printing processes. Please contact us directly or fill out the quote form with detailed specifications for more information on any specialty printing methods. 94.3% of our shop reflects "Digital / Flat printing". Great quality printing at the most cost effective price, This is perfect for lower quantities and especially quick turnarounds. We do all printing in house using a commercial printer and can even accommodate same day RUSH orders (addt'l fees apply). Flat printed cards are beautiful and when combined as part of a suite, make for a gorgeous invitation suite for your guests to receive. If you've read this far, a single sampe proof is on us! Enter promo code SAMPLEONUS through this page or email us at info@citlalicreativo.com for a FREE SAMPLE (open to US residents only - one per household / address). Make sure to include a link to the sample of choice, your address and color request (we'll send if we have it). 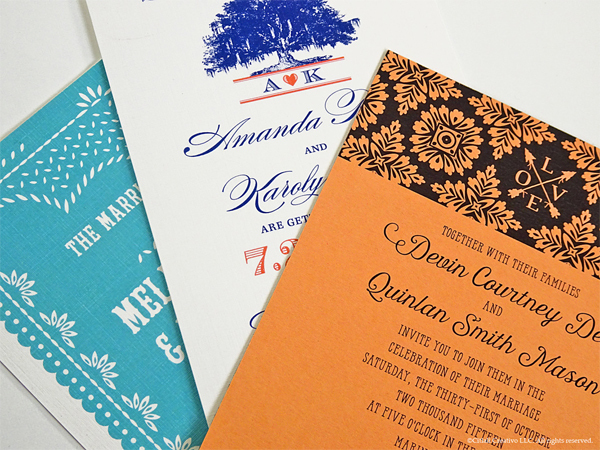 Convinced Head over to our shop to find your perfect invitations! Shop online with pricing at your fingertips or contact us for a custom quote. A specialty printing process: an alternate and cost effective solution to engraving. The ink is raised with this type of printing and has an orange peel feel/texture. Our minimum quantity for raised ink printing is 75 qty. Pricing is dependent on the number of ink colors per card and the number of cards that will have raised ink. Please contact us or fill out the quote form with your specifications for more information. We do not offer engraving. We offer two types of foil: Traditional Foil and Digital Foil. Both methods achieve the foil. 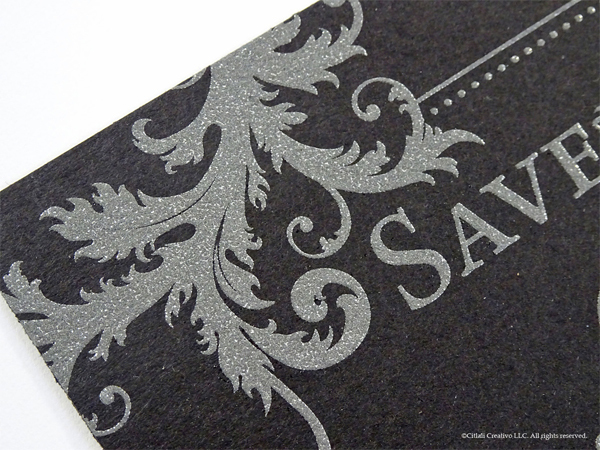 Traditional foil stamping is perfect for a single foil color and can be done on a variety of stocks. Digital Foil can achieve any number of colors (even a rainbow foil) but can only be done one white cover stock. This is most economical when you'd like to achieve a simple foil look without breaking the bank. Our minimum quantity for foil printing is 75 qty - no exceptions. Pricing depends on which foil printing method you'd like to proceed with. Please contact us or fill out the quote form with your specifications for more information. We LOVE letterpress but unfortunately do not do this in house. We work closely with a few select printers - printers and folks we trust to hand off our designs to and handle all the project management for you. Sample pricing may begin at $625 for 100 invitation & RSVP cards sets, one single color ink with no bleeds, printed on 110# cover stocks and matching envelopes. This will vary depending on the design, quantity and specifications.